Need Motivation? Use This Approach.. This refers to the emotion you have around achieving your goal, linked closer to the visualisation you experience when thinking about achieving your objectives. The emotion can be both positive (desire to succeed) or negative (fear of failing or staying where you are). The ideal goal is one you can see, feel, and experience true emotion when thinking about achieving your goal. If you are successful in any area of your life this imagery is probably already built into you and appears as part of your identity. If you struggle in any goal area in life, this imagery will most likely not be strongly imprinted in your emotions or mind. This looks at how much priority in your life the goal is given and therefore how much your motivation can actually be experienced in the face of competing demands that life throws at us. For example, you could have the most powerful visualisation of your goal but if it only ever enters your mind once a month it will not help you achieve anything. This area is about looking your values, how your goal influences other areas of life and delving into identity level outcomes. It also includes the influence of motivation around doing the actual behaviours behind any major goal as this will promote or relegate how important this goal is based on the desire to do the tasks needed for success. In any conversation of motivation your environment has to be considered. It is estimated that up to 50% of your motivation can come from the environment you find yourself within. Imagine how you would act if you were living with five Olympic athletes as they prepared for the games compared to living with five obese, exercise hating, TV addicts? It is very likely you would eat better and move more in the former than the latter environment if all other things are equal. This area looks at behavioural cues, fitness challenges, the influence of other people, being part of a group and using rained professionals for guidance. With the right environment cues in place you will get dragged along by life to doing the needed tasks rather than always trying to find some self-motivation. A motivational state is a way of being that directs certain emotions to be predominantly experienced. They are learned emotional patterns. We see this all the time with ourselves and other people, e.g. there was no point reasoning with him yesterday when he was in that sort of mood, she has been down for the last week, John is always upbeat & positive. The reason this area is important is that your mood state will determine how you interpret event of life. If in a low energy, bad mood state then any thoughts of exercising will be dismissed. If in a calm & relaxed state around food you will find most food cravings change and / or disappear. In this state you will have new found will power and motivation. This area is developed by making use of visualisation, body behavioural cues and edging motivation changes through micro behaviours. To change your motivation select one aspect from each of the goal areas to work on. Goal Visualisation – Take a couple of minutes to think about how much better your life would be if you achieved you goal. Follow this up by taking a couple of minutes to think how much worse your life would be if you were never to change around your goal. Goal Priority – Take a few minutes to think about what is most important within your life (your values). How would succeeding in health & fitness goals make you better in your key values? Conversely, how does failing with your health & fitness goals make you worse in your key values. Goal Mood State – Think back to a time you were calm & relaxed around food and eating. Take a minute to feel and sense this within the body. From now on, when you are about to eat a meal take 30 seconds before you start to tune into this relaxed feeling around eating. If you put all these aspect together you will find motivation all of a sudden starts to magically appear. Try it! 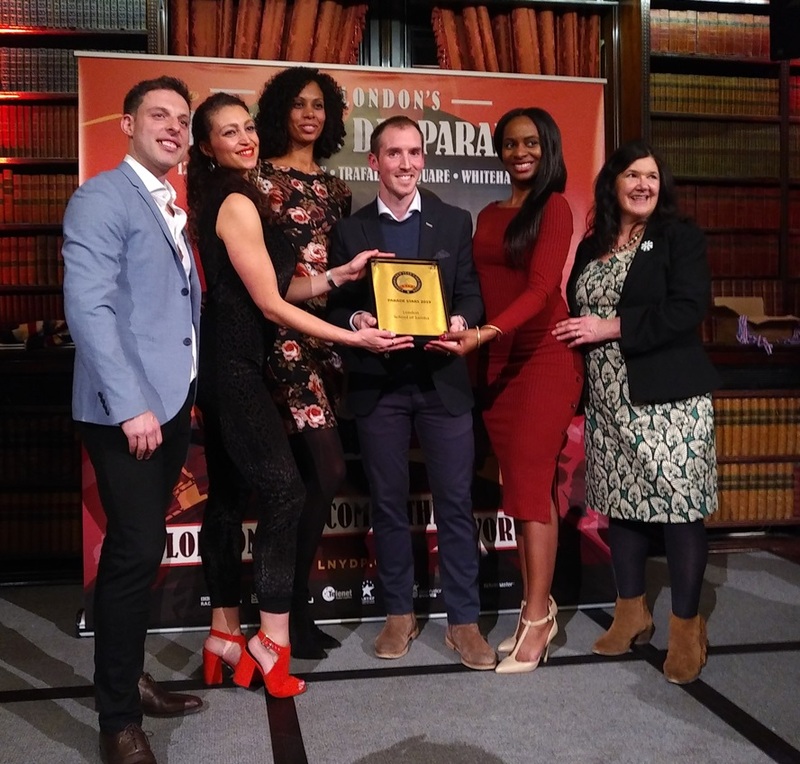 Photo – Winning an award for our Samba performance in Lord Mayor’s New Year Day Parade here in London this year. The result of our goal as a London Samba School.